Queenscliff Village News offers customers a friendly and welcoming shopping experience with a wide variety of products and services available. Award winning newsagents Doug & Tracey Otter and their friendly staff will help you find just what you’re looking for. Here on our website you will find a huge range of stationery and other products to choose from and purchase online, browse our online store using the left menu or the product search feature. You will also find lots of information about all we have to offer in our newsagency and Lotteries Agencies located at 72 Hesse Street Queenscliff, just follow the links on the Newsagency and Lotteries menus on the right. 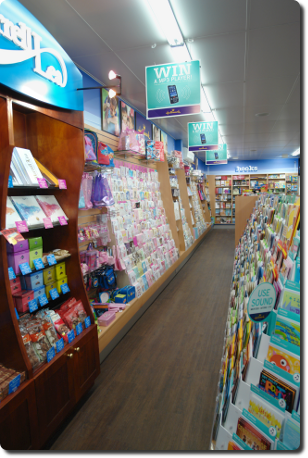 BEST STATIONERY PRICES ON THE BELLARINE! This weeks HOT BUY! "Click Here"